Like most people, I love muffins. They make a great quick breakfast or snack, a side bread with a meal or brunch, or a lunchbox treat. 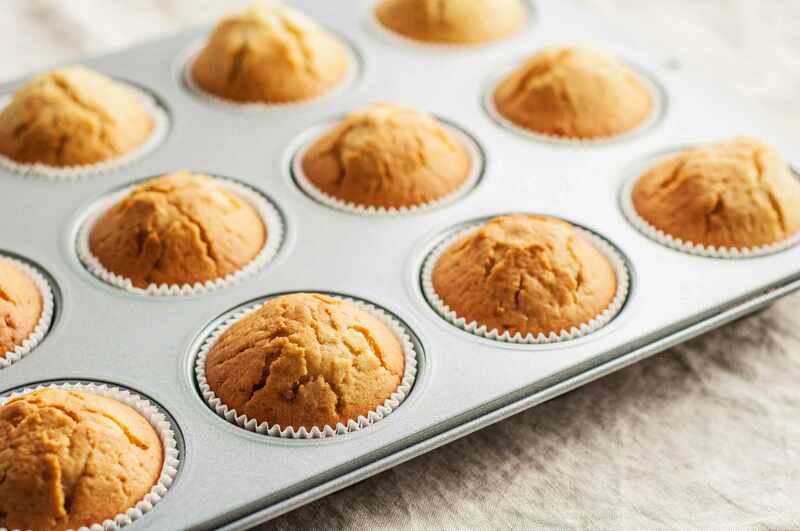 Whether you like fiber-rich, healthy muffins, savory muffins to go with chili or stew, or delicious, cake-like indulgences, you're sure to find a recipe among these favorites. These vanilla muffins might seem plain and simple, but they are brimming with flavor. The muffins are fluffy, and they are wonderful with marmalade, preserves, or jam. Or bake them with a dab of preserves in the center. I topped a few of them with maple flakes. These moist pumpkin date muffins get extra texture from the oats and the simple streusel topping, Feel free to substitute raisins or dried cranberries for the dates in this recipe. These carrot muffins are moist and full of flavor. The muffins are made with shredded carrots, chopped walnuts, and spices. These are excellent with an orange flavored butter or cream cheese spread. These tasty muffins are made with sweet potato puree, pecans, and a cinnamon sugar topping. Add toffee bits or use walnuts instead of pecans. These muffins are filled with flavor and texture. Fresh cranberries and pumpkin seeds make them perfect for fall and winter. These delicious, moist muffins are such a great way to use fresh raspberries, and the chopped pecans or walnuts give them just the right amount of texture. I sprinkle them with cinnamon sugar or vanilla sugar just before baking. These muffins are incredibly good, and they're loaded with chocolate chips. I used milk chocolate chips in them, but you could use semisweet or mini chips as well. The sweetness of the chopped apple and the saltiness of the cooked crumbled bacon make a unique and delicious combination in these muffins. I love them as they are, but feel free to add about 1/2 cup of chopped pecans, walnuts, or sunflower seeds for additional crunch. Lemon zest and an easy lemon syrup topping give these fabulous muffins plenty of citrus flavor, and sour cream gives them a wonderful, delicate texture. The recipe makes 1 dozen moist, delicious lemon muffins. Strawberries and cream are combined to make these delicious streusel topped strawberry muffins, and the crunchy brown sugar topping makes them unforgettable. Dates are one of my favorite ingredients. These date muffins are delicious with or without the chopped walnuts. Add more dates if you like. These easy muffins are baked with a surprise filling in the center! Use your raspberry, strawberry, apricot, or your favorite preserves to fill the muffins. These tasty fresh apple muffins are topped with a lightly spiced brown sugar crumble. Use chopped pecans or walnuts in this recipe or add a little more chopped apple if you don't care for nuts. These moist corn muffins are lightly sweetened with brown sugar. They make a nice breakfast muffin, and they would make an excellent bread to serve with a bowl of beans or chili. Try them with whipped maple butter. 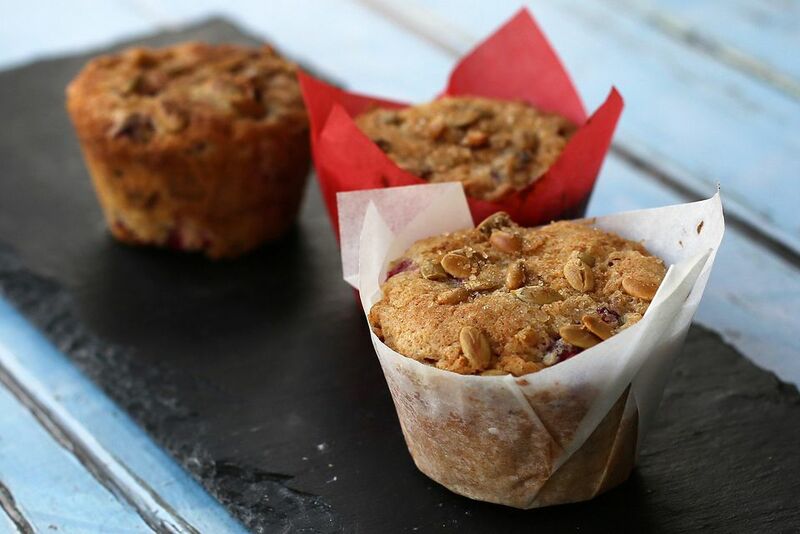 A little orange zest adds fabulous flavor to these cranberry nut muffins. The fresh cranberry muffins are perfect for a fall or winter morning. Cheese and browned onions make up the savory combination in these great tasting muffins. Use a purchased or homemade biscuit baking mix for this recipe. top the muffins with butter and poppy seeds for extra crunchiness. These moist banana muffins are a great way to start the day! Add some mini chocolate chips instead of nuts if you like. These tasty zucchini muffins would also be delicious with about 1/2 cup of chopped walnuts or pecans, either in addition to the carrots or to replace them. Coconut, raisins, or craisins would be excellent additions as well.